L’histoire militaire de cet État d’Amérique centrale, indépendant depuis 1821, où le prestige des armes est une tradition solidement ancrée, est tout à fait atypique. Jusqu’après la Seconde Guerre mondiale, les soldats de l’armée de San José n’ont pas porté de casques. Ils se contentaient de képis, soit de type britannique, soit de type français. C’est ce genre de coiffure qui sera seul utilisé lors de la sanglante guerre civile de 1917-1918. Durant les années vingt, un chapeau de brousse de forme, tronc- conique orné d’une cocarde deviendra le couvre-chef standard de la troupe. Après le Second Conflit mondial, le Costa Rica qui a fait partie de la coalition anti-hitlérienne, comme les autres États de la région se trouve soumis à une hégémonie américaine1. C’est dans ce contexte que les États Unis qui, suite à l’adoption du M1 par leurs forces armées, disposent de stocks de leur modèle précédent, décident d’en équiper leur “alliée” la petite armée costaricienne. L’époque du US M1917-A1Durant la Seconde Guerre mondiale, les forces armées (forces terrestres seulement, quelques centaines d’hommes en tout) sont dotées de casques américains du modèle 1936, à bords retournés vers le haut peints en couleur d’origine kaki et gris bleu. 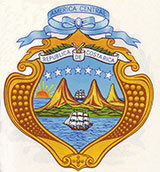 The small Republic of Costa Rica (19,700 square miles) declared its independence in 1821, but it was only in 1828 with the break-up of the federation known as the United Provinces of Central America, that the country became truly independent. An army was rapidly established. With no serious military threats from abroad, Costa Rica maintained a small army for much of its history, though one relatively professional in its equipment and training. Throughout the nineteenth century and even during the civil war of 1917-1918, soldiers wore jungle hats and kepis. No helmets were issued, with the exception of a few pith helmets of American origin. After the Second World War, and in the context of the Cold War, the United States began delivering to its ally in San Juan a substantial number of the M1917-A1 helmet. These helmets were painted either khaki (Army) or light-blue (Air Force and Navy). No emblems were applied. After another devastating civil war in 1948, the newly elected democratic government of Jose Figueres moved to abandon the idea of a national army, and to replace it with smaller military units. Barracks were transformed into museums. A new Guardia Civil (GC) was subsequently created to perform some of the duties of the disbanded army. A Guardia Presidencial, tasked to ensure the security of state institutions, could also be called upon to assist the Guardia Civil. These two new organizations used the helmets of the defunct army. In the 1950s a leftist guerrilla movement, supported by the Soviet Union, fought the Guardia Civil. 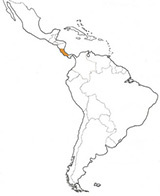 Fearing a communist threat to the strategically important Panama Canal Zone, the United States immediately increased its exports of military equipment to Costa Rica, including the US M1 helmet in various versions. A lightweight US M1 helmet, worn by the officer corps, was adorned in the front with the golden emblem of the Republic. In 1955 during the conflict with Nicaragua, US M1 helmets were used, but only on a small scale due to tropical climate conditions. Following the departure of Figueres (don Pepe, as he was known) in 1957, the US M1 helmet remained in use but was mostly worn with the green, jungle, camouflage cover. The liner of this helmet was often decorated with unit emblems of all sorts, often by hand. In the 1990s, with the modernization of the public security forces, anti-terrorist units began receiving PASGT helmets, apparently of American origin. These models are now standard-issue throughout the Costa Rican security forces, particularly in the Guardia Civil, and are painted dark blue in coordination with this organization’s uniforms.